Richard will act on your behalf to purchase racing or breeding stock either by private treaty or public auction. He attends all the major thoroughbred auction sales in the UK, Ireland, France, Germany and the USA. He also has a representative in most racing nations, thereby offering worldwide coverage of all aspects of the thoroughbred industry. Having established your requirements Richard will advise whether to make your purchase privately or which public auction would be the most suitable. All potential purchases are carefully considered taking into account conformation, pedigree, performance and are vetted to your requirements prior to purchase. 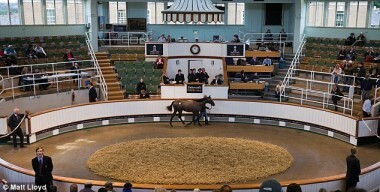 Value for money and success on the racecourse or in the sales ring is our main aim.